Having watched with not a little envy as other institutions developed and deployed large-scale visualization environments and projects (see other posts on this site! ), Virginia Commonwealth University Libraries found itself in 2016 and early 2017 starting to think hard about thinking about the particular needs of the VCU community for support with visualization technologies. We had some visualization technologies and tools but had not yet developed a formalized program. We realized early on the need to develop a systematic needs assessment and started to plan to do so in fall 2017. However, before we took that step, in summer 2017 NC State put out its call for proposals related to building the community of organizations which support large-scale visualization and the scholarship connected thereto. It was a perfect time to take a step back and realize that while it was good to do our own needs assessment, it would be a much more useful contribution to this burgeoning community to develop needs assessment and related tools that could be shared with other institutions that found themselves in the same place as we were: in possession of tools, technologies, and some expertise, but on the cusp of taking the next step to intentionally developing a formal program. Our contribution to the Immersive Scholar grant focuses therefore not on current practitioners but those who wish to become practitioners. More on that below. Mediamesh® at Virginia Commonwealth University from GKD on Vimeo. Further information about the Cabell Screen can be found on the screen’s blog. 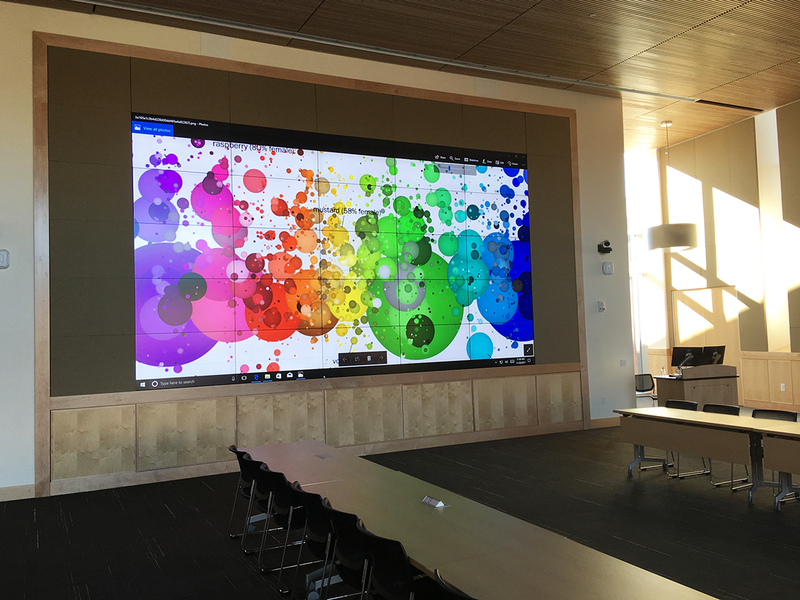 The third display above is found in The Workshop, the library’s multimedia center and makerspace where users can get access to GIS and data visualization software including ArcGIS and Tableau. The Workshop also provides access to a wide range of media creation spaces and tools including audio and video studios and a very large circulating collection of cameras, audio recorders, camcorders, and other equipment. 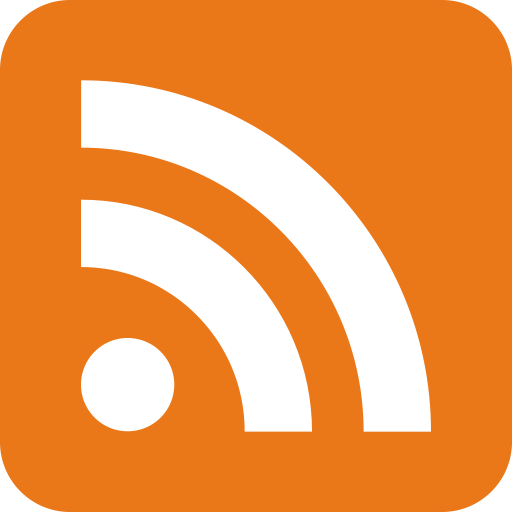 The Digital Engagement department at VCU Libraries manages the library website and related tools and supports scholars who are developing web-based projects and related initiatives (e.g. mapping and online exhibitions). One example of the work of this department is the lauded “Mapping the Second Ku Klux Klan, 1915-1940” project. 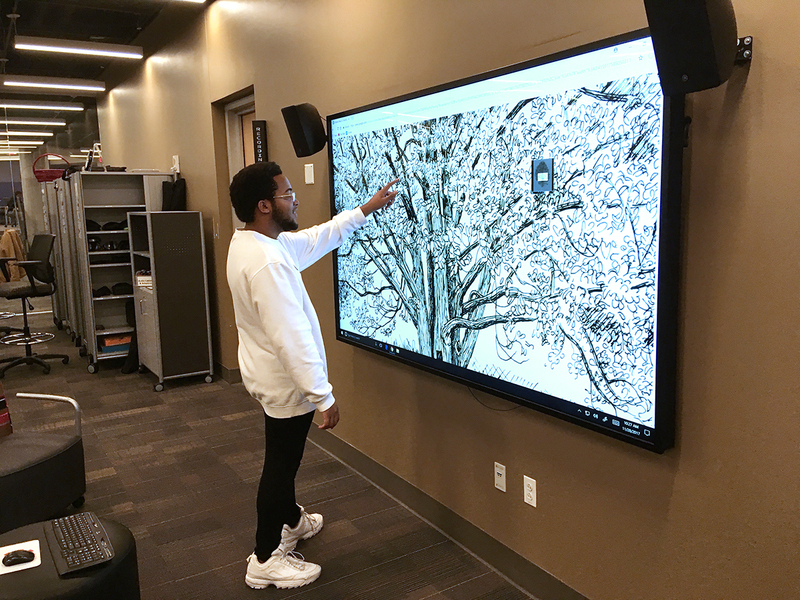 VCU Libraries’ proposal seeks to use the remainder of 2018 to build a common framework of best practices for institutions to follow as they seek to formalize their scholarly support for immersive visualization environments. By involving those who have already established themselves in the community of practice, we will work to ensure that the framework reflects the most useful practices and that it benefits from their experiences. It will, on the other hand, be careful to avoid a kind of “visualization-environment-in-a-box” approach, given the complexities of local scholarly cultures. Through a combination of a workshop with a cohort of select peers, surveys of related communities of practice, and iterative refinements based on ongoing conversations with the peer cohort, we will examine the factors involved in performing an effective needs assessment of one’s local institution. The outcome will consist of a peer-vetted set of approaches that will help any institution best understand its local visualization needs. Through a similar combination of the workshop, surveys, and cohort discussions, we will build a collection of effective approaches for talking to other institutions about their spaces and services, weighing the new information against the home institution’s needs. The outcome of this step will be a peer-vetted set of approaches that will help institutions better benefit from the examples of existing environments. Because the number of institutions with large-scale visualization environments is still small, now is the right time to try to capture the range of hardware, software, and services offered by each of those spaces as a resource for those who are working to strengthen the community of practice. A searchable database of spaces with thoughtful metadata would make it easier for those who wish to better understand the state of the field and connect to others. The NCSU proposal noted that “the literature on the scholarly relevance of visualization environments in libraries and the projects in which they engage is still sparse.” Developing a searchable, one-stop shop of all identified, relevant literature--practices in academic and other fields, product reviews, research findings, etc.--would give those who are exploring the field more information to help them understand the environment. If you're interesting in finding out more information about the framework or contribute ideas to the effort, please feel free to contact the project's PI, Eric Johnson, at edmjohnson@vcu.edu . We’d love to hear from you!